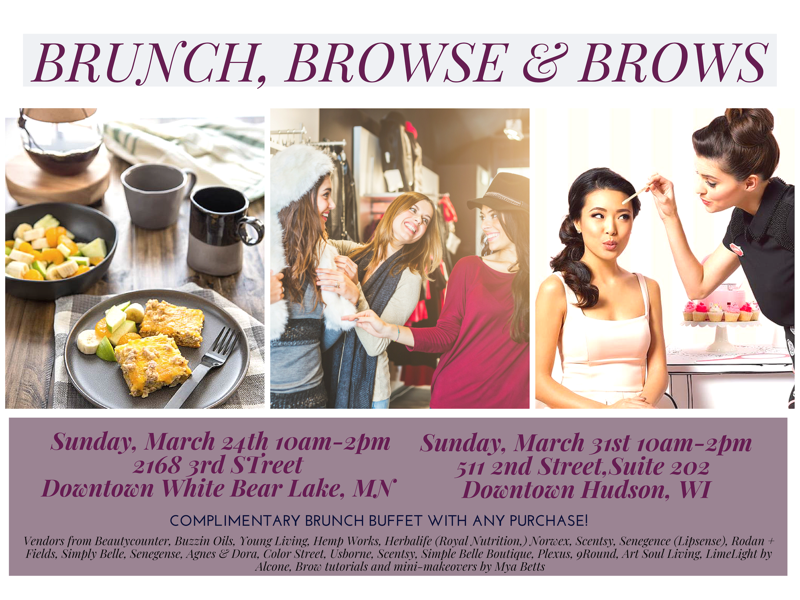 Come join us for our Brunch, Browse and Brows event at Create Space in White Bear Lake on March 24th and Create Space in Hudson on March 31st. Complimentary brunch buffet with any purchase. Includes vendors from Beautycounter, Buzzin Oils, Young Living, Hemp Works, Herbalife (Royal Nutrition,) Norwex, Scentsy, Senegence (Lipsense), Rodan + Fields, Simply Belle, Senegense, Agnes & Dora, Color Street, Usborne, Scentsy, Simple Belle Boutique, Plexus, 9Round, Art Soul Living, Family 5 Design, LimeLight by Alcone. 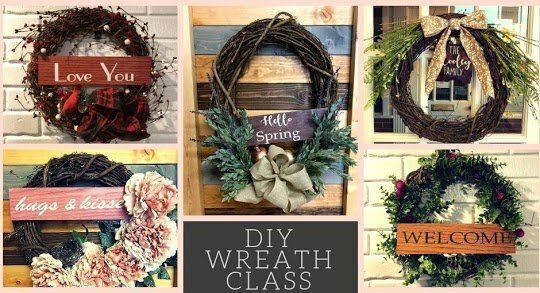 $50 includes grapevine wreath base, variety of florals and decor, plus a custom painted wood sign. Here’s the story. I’ve tried to find seasonal wreaths and everything that I LOVE is always out of my budget. So I gathered the materials and made my own! Now, I want to help you make your own perfect wreath! Make it uniquely your own! We supply the materials and space. You bring the friends and fun. Includes grapevine wreath base, variety of florals and decor, plus a custom painted wood sign. 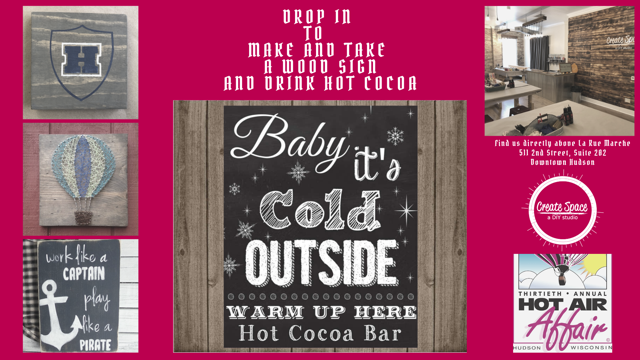 *BYOB wine recommended (White Bear Lake Studio only)! Build, plant and take home a succulent frame or box. Use power tools and plant with our help! Choose from a variety of stain colors and succulent plants. Grab some friends and enjoy some quality time crafting! 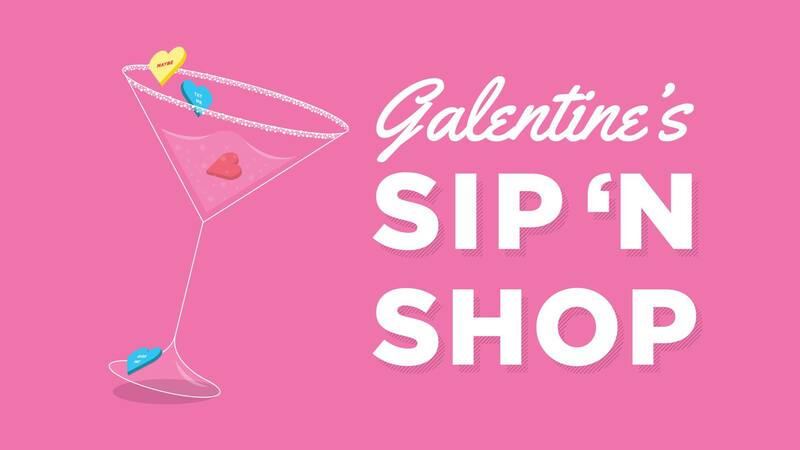 This project takes about 1 hours so you’ll have plenty of time to hop around downtown to visit all the wonderful shops during Ladies Night Out! Build, decorate and plant a succulent frame or box. Includes wood box materials, 3-5 plants, plastic tray and soil. Use power tools and plant! Choose from a variety of stain colors and succulent plants. Grab some friends and enjoy some quality time crafting! Build, decorate and plant a succulent frame or box. Includes wood frame materials, glass jar, twine and a succulent plant. Use power tools and plant! Choose from a variety of stain colors and succulent plants. Grab some friends and enjoy some quality time crafting! Create Space has been invited to participate in Rock What You Got presented by the Twin Cities Women’s Expo. Join us as we present workshops on stage, and stop by our booth to complete a make and take project. Workshops will be presented on both Friday and Saturday of the event. Visit https://www.twincitieswomensexpo.com/ to learn more! Calling all crafters and artists (knitters, crocheters, needle-pointers, painters, drawers, sculptors, decoupagers, card makers, origamiists, etc. 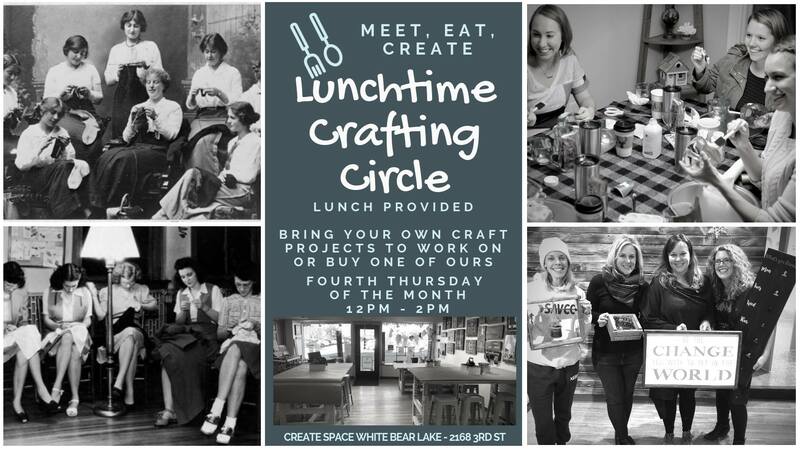 This Lunchtime Crafting Circle is the place and time for you to get together with other crafters/artists in a relaxed community setting. We’ll provide the space and the lunch for FREE (sandwiches from local restaurants.) You bring your supplies and materials. If you’re craftless at the moment, buy one of our projects (see project options – every project comes with all materials and instruction.) Please RSVP at least 48 in advance by emailing events@yourcreatespace.com with the # of people in your group so we can best estimate attendance when ordering food. When it’s time for some fun, Matoska Park, east of downtown off Sixth Street, offers great views of White Bear Lake, sailboats on the water as well as the bridge connecting the private Manitou Island to the mainland. White Bear Lake is also know for its arts scene. Catch a performance at Lakeshore Players Theatre in the new Hanifl Performing Arts Center or head to the White Bear Center of the Arts building next door where you can shop art, browse gallery space and even take in a class. Or, bring out your inner artist at Create Space and make home decor items while you’re at it. Create Space, which just relocated downtown from a few blocks away, offers classes in Do-it-Yourself home decor projects. Materials such as wood, paints and power tools are provided.